“You heard about it in the past. You started training over a year ago. You may have even taken the ride along H just to get to know the competition, learn where it speeds up and where you might have the advantage. The third annual “Running of the Streetcar” is here! Think you’re faster than the streetcar? We bet you are, but come find out for sure on Sunday February 10th. 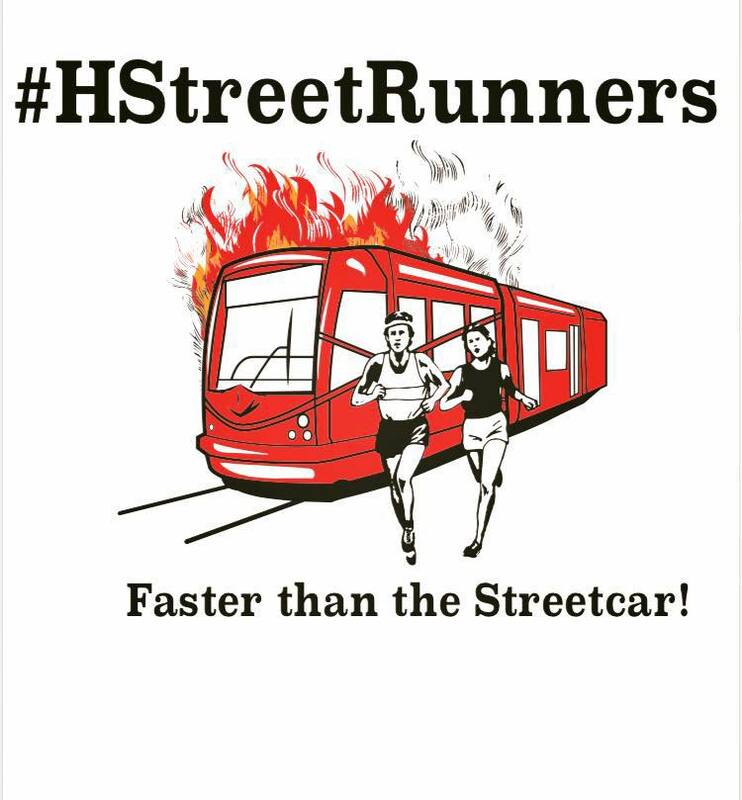 Just think of the famed Running of the Bulls at Pamplona, except for this event your goal is to outpace a big, red mechanical beast — H Street’s infamous streetcar! This year we’re pleased to announce that Duffy’s Irish Pub on H Street will be our host! Check-in will be at 2:00pm at Duffy’s. We will be grabbing the streetcar at 2:15pm down to the end of the line the intersection of Benning Road and Oklahoma Ave NE (near RFK stadium), where we will exit the streetcar, cross the street, and get set to race the streetcar all the way to 3rd and H (last stop before the Hopscotch Bridge/Union Station) for a start ~ 2:30-2:45 pm (pending street car traffic). The sidewalks are not being closed for this event, so all runners are required to follow traffic laws and be aware of/ polite to pedestrians on H St.
Free avocado toast and coffee alert! !